The Zetronix zClock-30W is the ultimate device when you want constantly or randomly keep 3rd eye on your home, work, or any area that has a Wi -Fi or Internet connection. This nanny surveillance camera disguised as an ordinary, fully functioning alarm clock enables the user to watch and monitor activity discreetly in any lighting condition, including in almost complete darkness. YES, that is correct. The zClock-30W hidden nanny cam will display video with clear audio in a room that is almost fully dark with. A professional grade .01 LUX Low Light Sony CCD Sensor allows this clock camera to see a high-quality color video with sound during the day, and quality black and white video with sound at night. 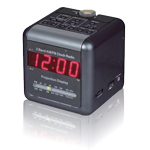 This easy to use covert Wi-Fi Alarm Clock is ideal for monitoring your office, nanny, employees, your home, your pets, elderly parents, as well as any valuables you wish to protect from theft. A built-in motion detection sensor triggers the camera to give you an alarm only when there is motion. Elderly safe? Nursing homes can be tough for elderly and nothing easier then to watch over them live to make sure they are alright like a zClock-30W nanny cam. Even see what's there at night while they sleep, the built-in IR will turn any lighting condition into a great video. A The zClock-30N WIFI Nanny Cam has a built-in Sony CCD 480p Sensor, with 0.01LUX sensitivity your video will always be in color and accurate. Built-in microphone to record sound with video. The microphone can be turned on or off to comply with local state laws. Not only is the zClock-30W a covert recording system, it’s also a fully functioning LCD alarm clock, complete with a buzzer and snooze button. Like all basic alarm clocks, the disguised surveillance camera comes with a nighttime holographic display that allows you to tell the time in the middle of the night. The zClock-30W is covert and 100 percent discreet. Whether it’s placed in your living room, bedroom, office, or wherever you chose, no one will know it’s there. Having some contractors at your house at certain times, a babysitter or a dog sitter or kids having a party? With the Zetronix zClock-30W you can set up a time and date to start and end recording so you never miss any footage and capture every detail of what really happens when you’re not around! A motion sensor built into the nanny cam detects movement and begins recording automatically. You won’t need to worry about manually starting the recording. 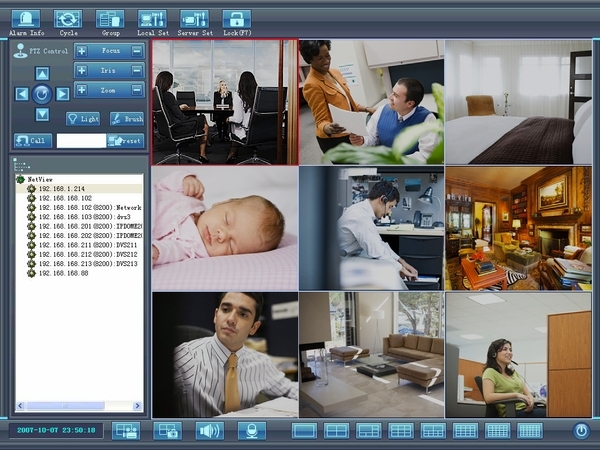 PC Software allows you to select the specific areas where you want the camera to detect motion, so insignificant triggers like curtains blowing in the wind won’t activate the recording.